Hi everyone, today I am going to talk about my absolute fav products that I have been using past 2 months. It is all about skin care products and my routine every day. 1. 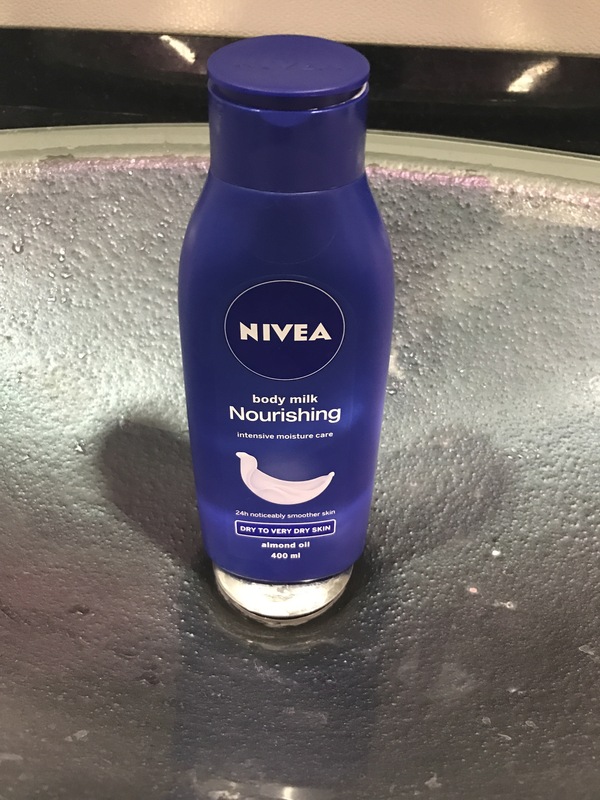 First priduct that I am going to talk about is my Nivea Body Milk for dry skin. It has almond oil to it. It emediately nourishes my skin. I have very dry skin and this product I am using almost 8 years and I always buy this deep blue bottle. I love the smell of it and I love the product it is not heavy cream. 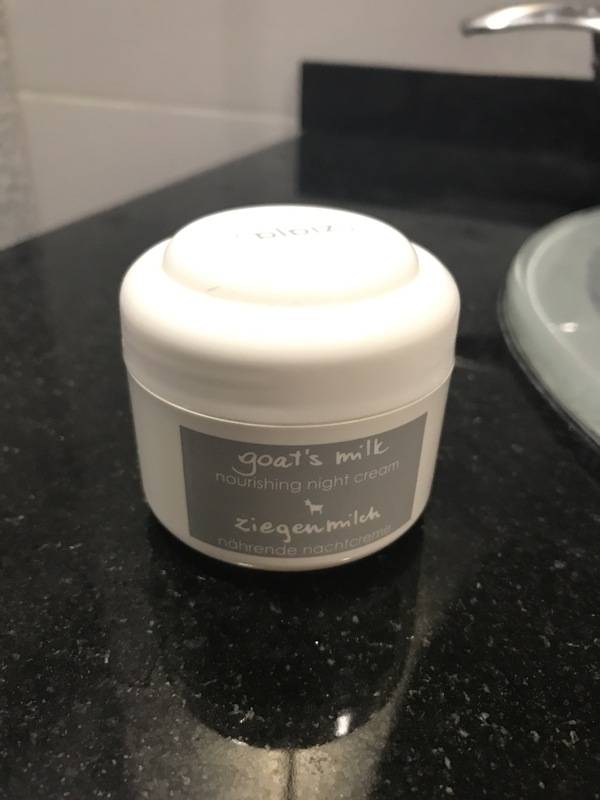 It looks like well made body milk and it’s quality is the same all these years that I have been using it. I just love this milk and every other is not like this one. 2. 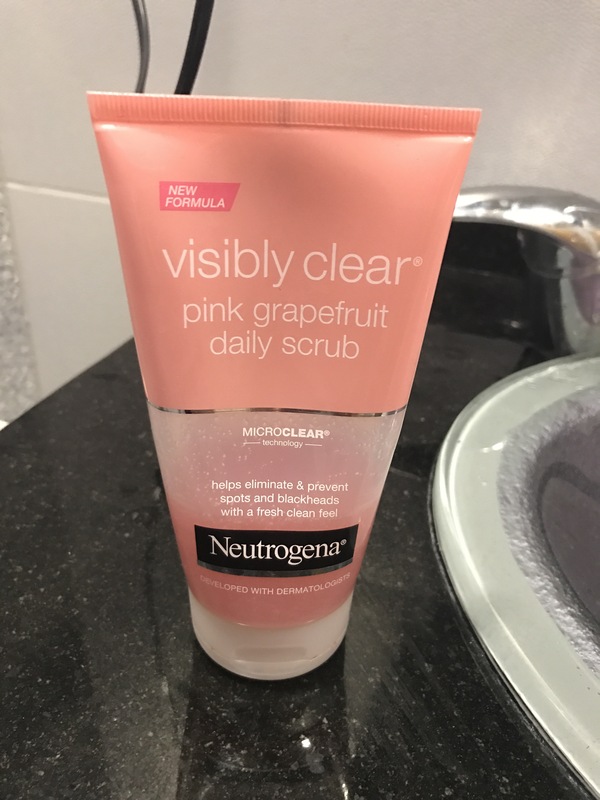 Second skin care product is Neutrogena Visibly Clear Pink grape fruit daily scrub. I love this scrub. It is gentle but it does ehat is supposed to do. I love the smell of it and the effect of my face after it. My skin feels fresh and clean. I do it twice a day. In the morning and when I am going to bed I clean every little spot of my face if it has left any trace of makeup. It copletely removes makeup from face and does very good job. It is not expensive. 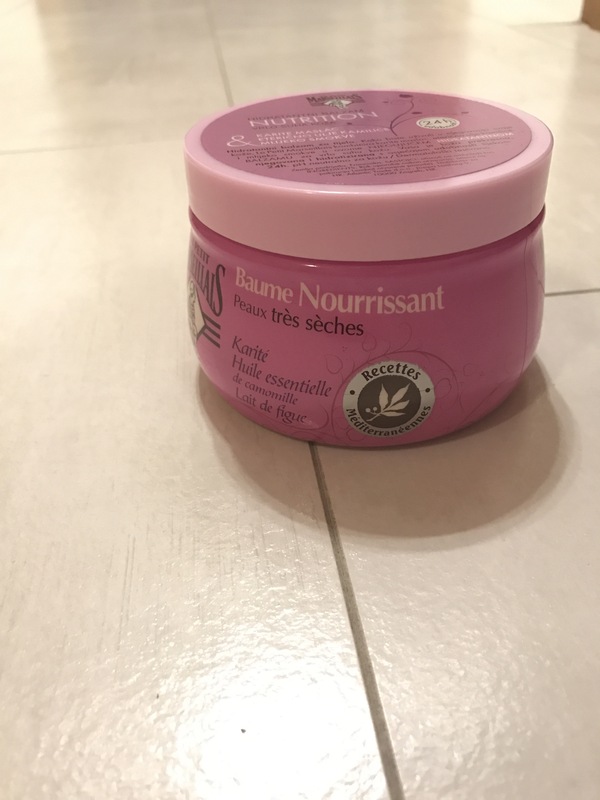 One bottle of this is around 5€ and it can last one month with every day routine like mine. 3. Product is newer in my collection and it is Marseillias body milk with nuitrition, oils in it. I love the smell, love the quality of milk, love the effect and it is not cheap cream. Looks very promising but I love more my Nivea because it is in tube and this one is in jar. That is only one thing that I have to tell it is different. But the quality and the effect on the skin is very similar to me. 4. One of the products that I love to put at night time is my night time cream. I have one from Ziaja. It is called Goat milk nourishing cream. I love the smell of it. It is nice for night time because it is heavier and it feeds my dry skin at night time. Did you try any of the Ziaja products? 5. Little bit of hair care. 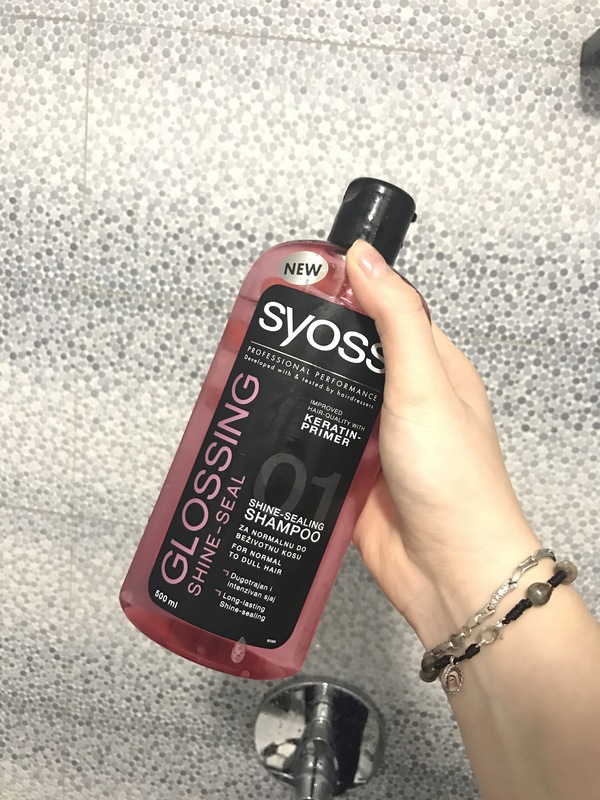 Best shampoo for hair in my opinion are Syoss products. I love my Glossing shine effect shampoo. It is little bit of smell in it. It is not aggressive and it feels good on my hair. Doesn’t dry my hair. It does what it is said to do. My hair feels glossy and fresh even tho I have done coloring my hair. It has keratin primer in it so it is good for damaged hair. 6. 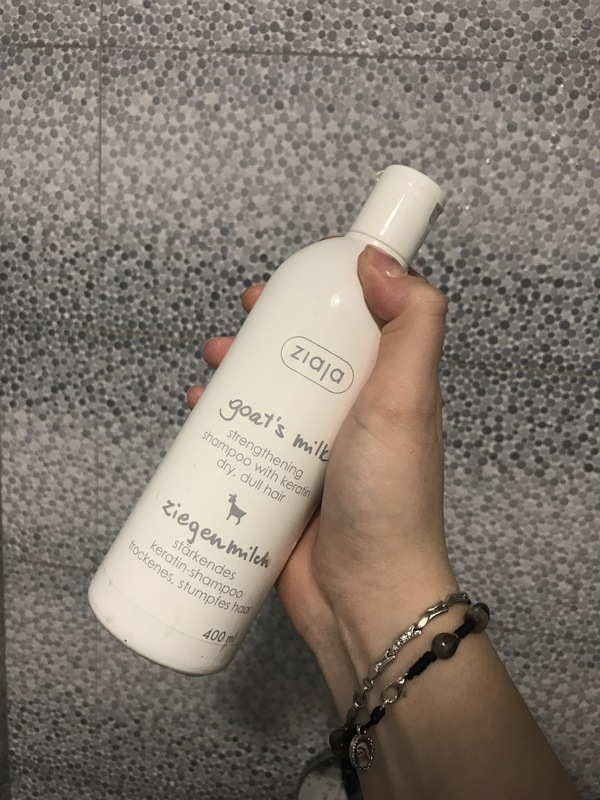 Second shampoo that I love to use is my Ziaja Goat’s milk shampoo eith keratin for very dry hair. Has nice smell, also not agressive. Feels good on hair, it doesn’t dry my hair and feels like nice shampoo. I have used it all up. Love it soo much. 7. 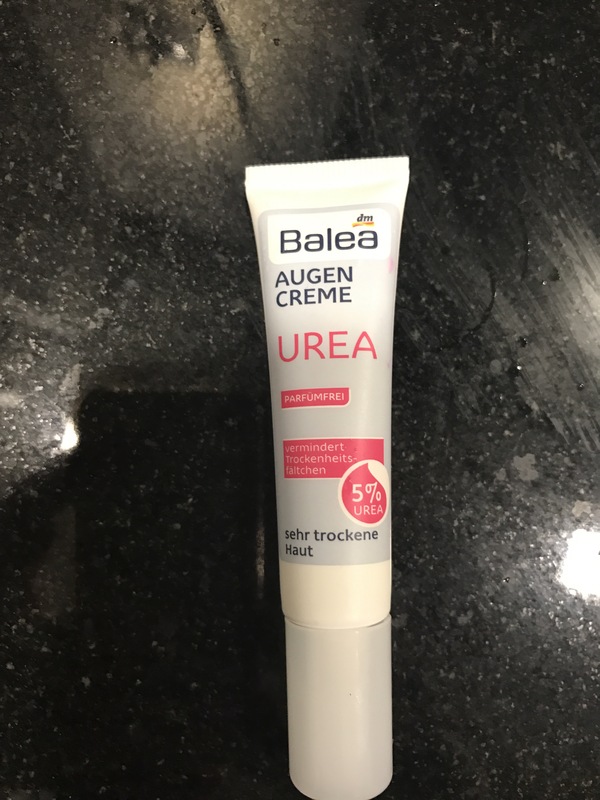 My every day routine after Neutrogena scrub is my night cream Ziaja and around eyes area I use my Balea Augen Cream Urea with no smell. It is made for very dry eye area like mine. I use it every night and you need little bit because it is very nourshing. Love the effect that gives me. I love it and my under eye area looks good for now with this product. I swear by the Neutrogena scrub.. I have yet to try the pink graprfruit one. I know i have it in my list to buy next month. I love that its not so harah on my skin.